All-weather wearability at a bank-account friendly price. It’s not a proposition that many motorcycle jackets can live up to. With the introduction of the Hyper series from Astars, however, that is exactly what they were aiming to do. 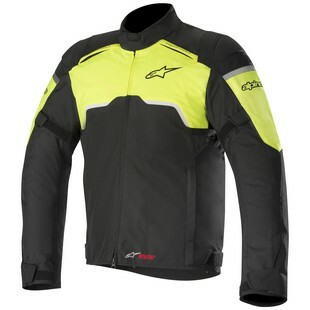 The Alpinestars Hyper Drystar Jacket is constructed from a combination of 450D poly-fabric throughout the main shell and 600D dobby reinforcements in the high-impact areas. Underneath, the Hyper Drystar makes use of the Alpinestars Drystar waterproof membrane that is fixed within with taped seams that guarantee a dry seal, as well as a removable full-sleeve thermal liner to help retain body heat on those cool days in the saddle. Additional features include a multi-point ventilation system for warm-weather riding, TPU caps at the shoulders, and CE-approved internal elbow and shoulder protectors for impact absorption. The riding season for many of us is limited by the realities of the changing weather. The Alpinestars Hyper Drystar Jacket is all about extending your time in the saddle through it all without over-extending your checkbook.